Apple today confirmed on their website that the App Store will feature an iPad app section for apps designed specifically for the device. 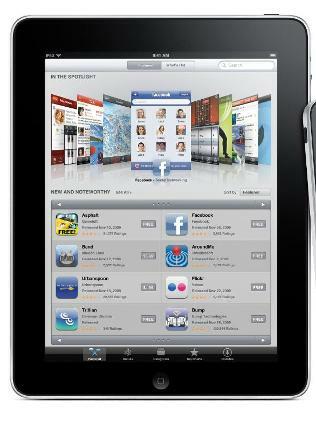 Of course we all expect there to be tons of developers in the coming months releasing apps that in one way or another take advantage of the iPad’s unique features and specs, in comparison to the iPhone and iPod Touch. This will certainly be a great way for developers to make sure these apps get noticed and also a great way for iPad owners to find these apps in the ever-growing App Store. 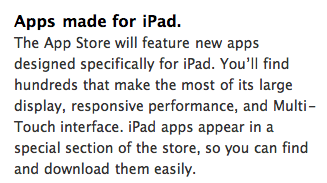 Announcement from the Apple site below.